Policing InsightNewsWorld Class Policing Awards 2019 are now OPEN for nominations! As official media partner of the World Class Policing Awards 2019, Policing Insight is delighted to announce the nominations for this year's awards are now OPEN! As the official media partner, we are delighted to announce nominations for the World Class Policing Awards 2019 are now live at www.WorldClassPolicing.com. Policing excellence takes place every day in every force and now that excellence can receive the recognition it is due with the first ever World Class Policing Awards. The World Class Policing Awards 2019 will honour the very best in policing at a prestigious awards ceremony in London this November. So what makes the World Class Policing Awards different from other awards recognising the best in policing? 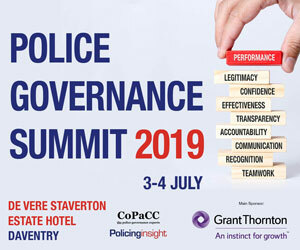 Firstly, anyone can nominate any team in any force area, including multi-agency teams, that have excelled in any area of policing, whether that is operational policing or support functions. Secondly, the awards are about recognising all types of personnel who have made the nominated activity successful including police officers, staff, PCSOs, Specials, volunteers and, of course, employees from the partner organisations. Stephen Kavanagh, former Chief Constable of Essex Police and Chair of the World Class Policing Awards Steering Committee said: “The World Class Policing Awards is an exciting and long-awaited process that will help forces across the country to come together and celebrate what makes our policing so special. The World Class Policing Awards 2019 awards are supported by a range of policing partners, who are all global experts in supporting police in protecting the public. 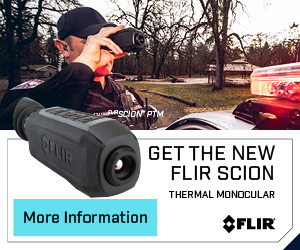 CEO and Founder of Chorus Intelligence Boyd Mulvey said: “We at Chorus Intelligence are delighted to be supporting this important international initiative and encourage all Police personnel to enter the competition. Head of Policing for Grant Thornton Paul Grady said: “We’re delighted to be sponsoring the World Class Policing Awards 2019. We look forward to hearing the nominations of great work to enable us to collectively say thank you. 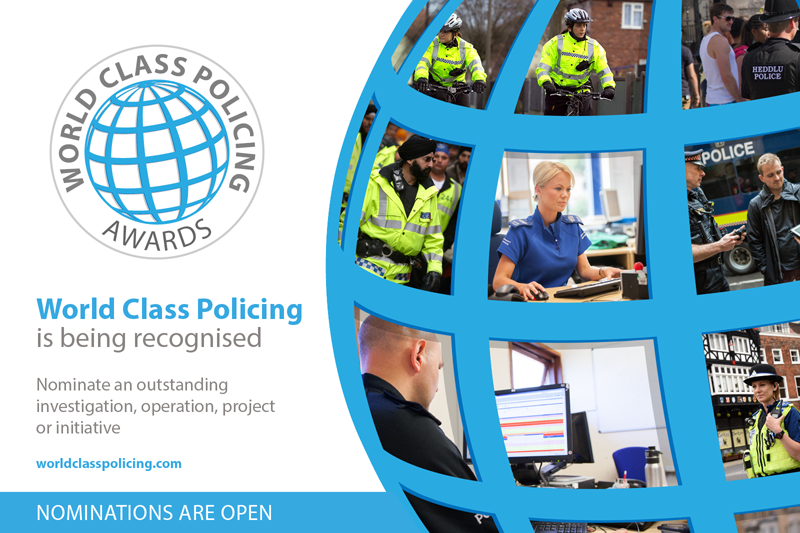 There are countless exceptional teams delivering World Class Policing, so please make sure your organisation provides the opportunity for them to get the recognition they deserve. The closing date for completed nominations is 5pm on Friday 5 July. To make a nomination, please go to www.WorldClassPolicing.com to register as a nominator. For information about the awards or the nominations process, contact: [email protected] or call: +44 (0) 1772 767782. Policing Insight (policinginsight.com) is an official Media Partner for the World Class Policing Awards 2019.